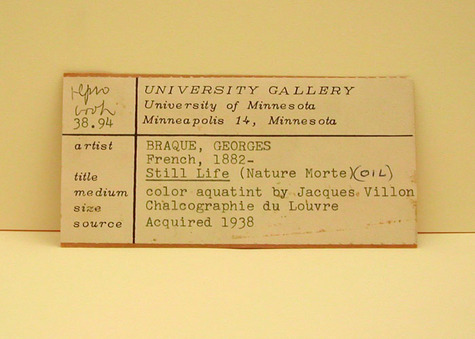 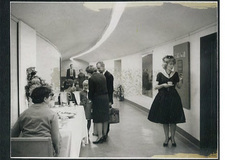 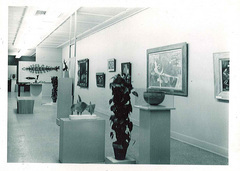 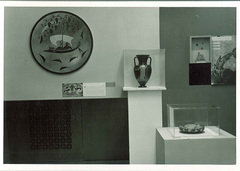 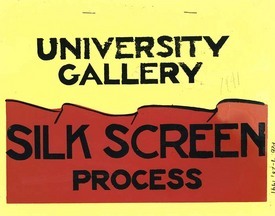 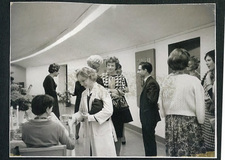 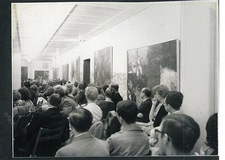 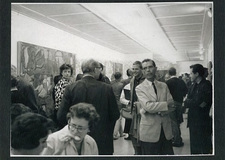 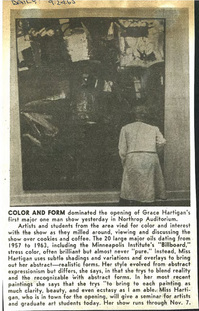 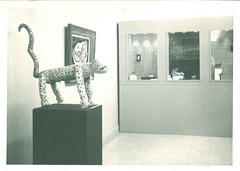 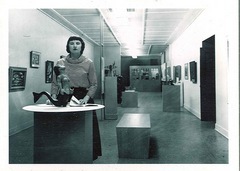 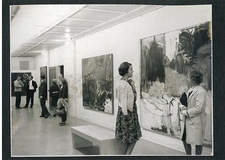 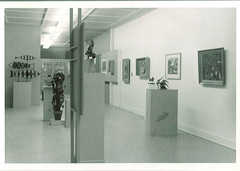 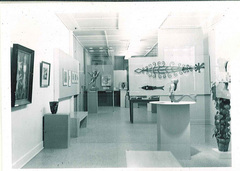 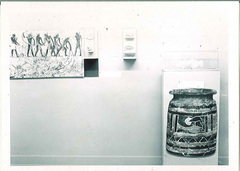 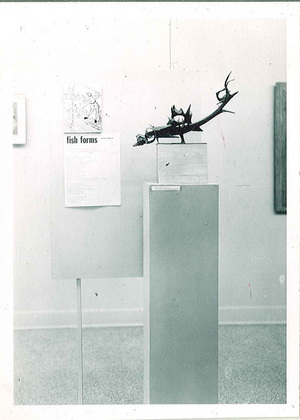 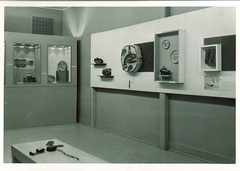 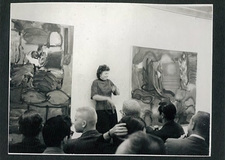 On September 23, 1963, the opening of an exhibition of the works of artist Grace Hartigan was held at the University Gallery in Northrop Auditorium. 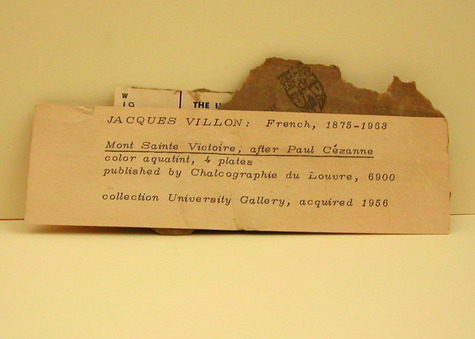 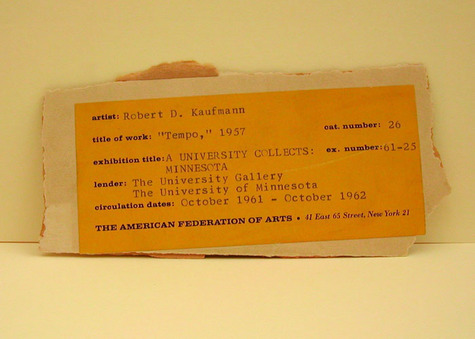 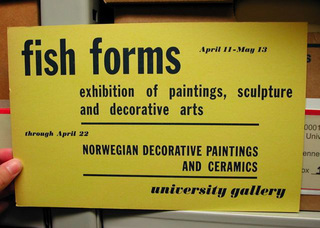 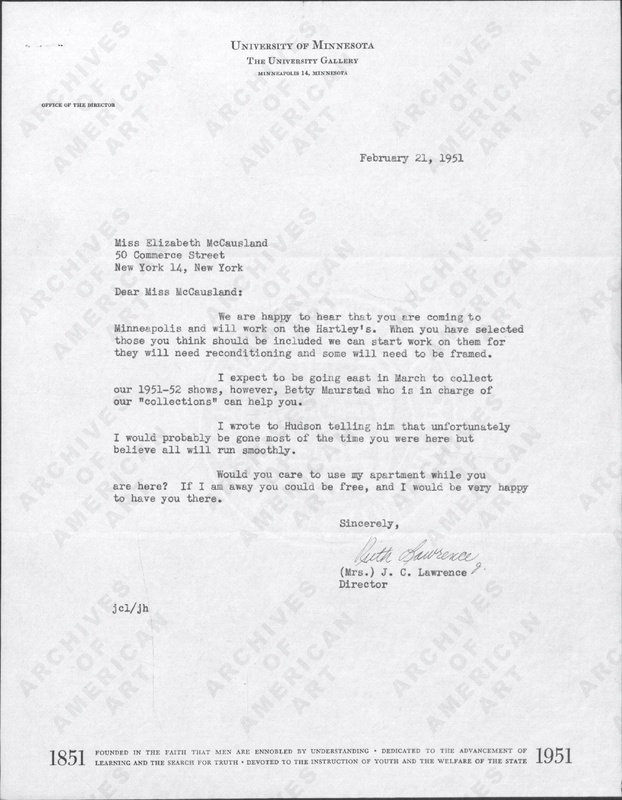 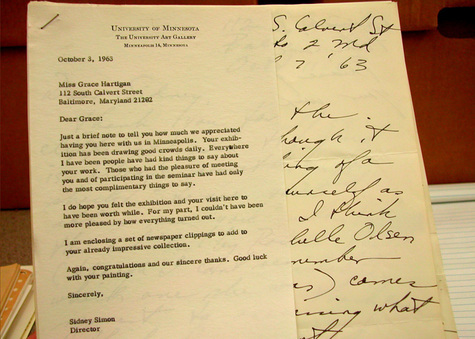 An invitation to the exhibition, found in the Gallery press books from the 1960s, is one of many clues found within the archives that can begin to describe the details and events surrounding exhibitions during this decade. 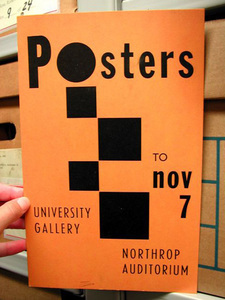 In addition to the opening invitation, an exhibition poster was created to announce and promote the exhibition–which ran through November. 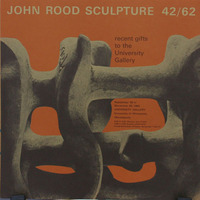 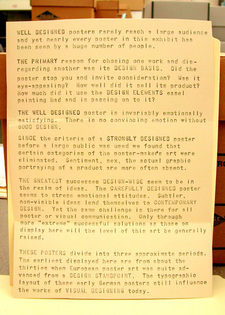 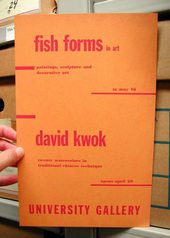 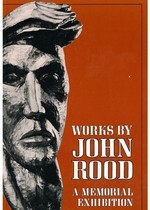 Posters were folded and mailed out to friends of the Gallery to publicize the exhibition. 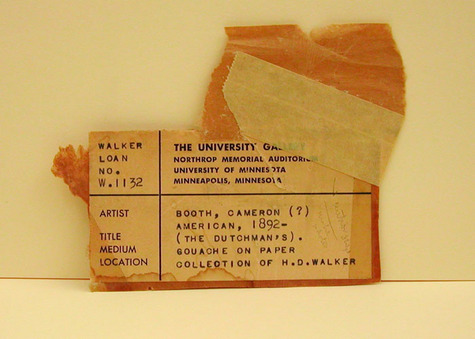 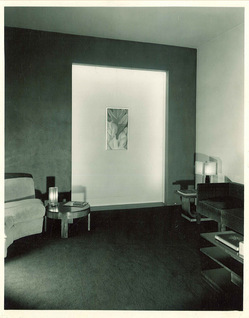 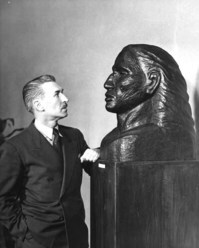 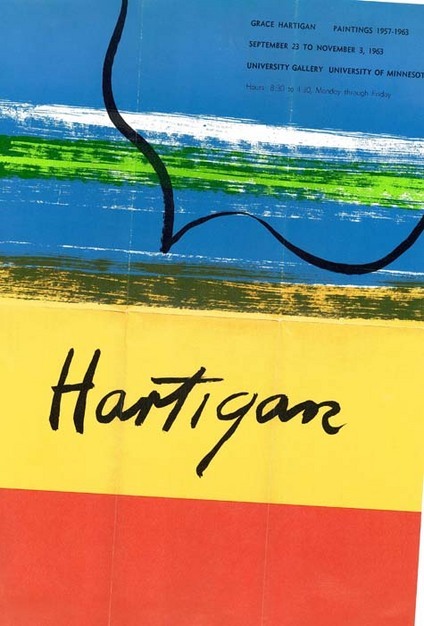 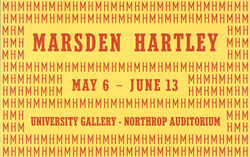 A Hartigan poster was found in the back room of the Weisman’s in-house storage, a duplicate is also preserved within the WAM exhibition poster collection at the Archives. 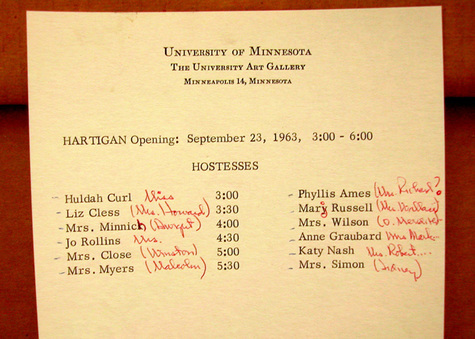 From the exhibition folder, contained in Box 9 of the WAM records at the University Archives, a draft list of exhibition hostesses was found that outlined the schedule for which “Mrs.” or “Miss” was assigned to welcome visitors. 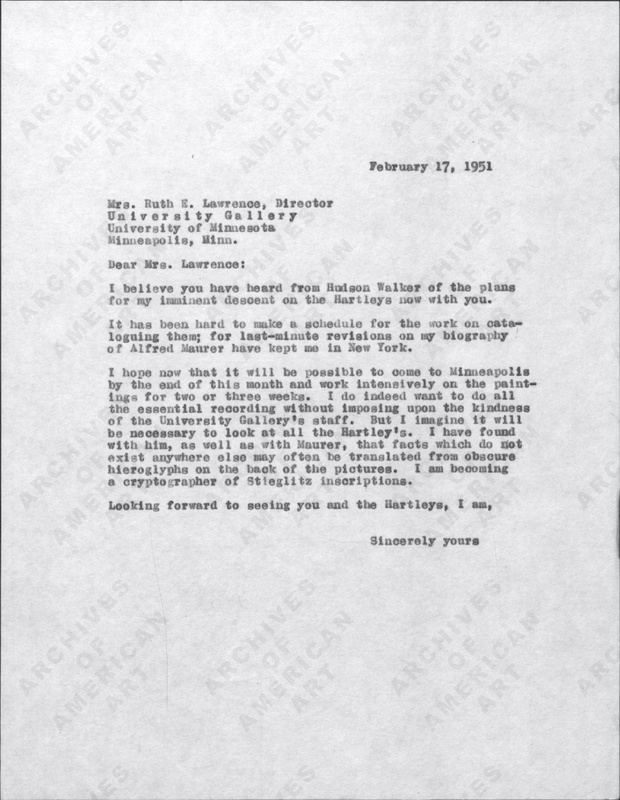 The list includes female faculty members (Jo Rollins, Katy Nash), the wives of male faculty members, as well as Liz Cless (Mrs. Howard), the daughter of former Gallery Director Ruth Lawrence, who was the co-director of The Minnesota Plan for the Continuing Education of Women at the University, and Mrs. Wilson, wife of University President O. Meredith Wilson, among others. 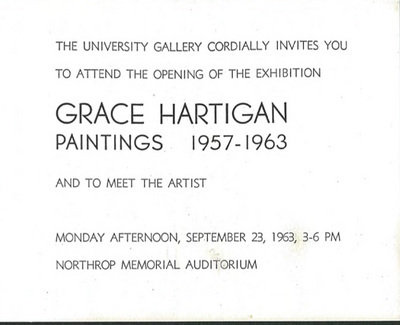 *In a collections related note, the personal papers of Grace Hartigan are preserved at the Syracuse University Library.